Just when you think that tickets for two of the biggest gigs of the week have all but sold out, along comes a message from concert promoters MCD to tell us that a limited amount of “extra production holds” have just been released (that’s extra tickets to you and me). Best get a move on – there’s a huge demand to see Steve Garrigan and his boys from Swords in action, what with Kodaline being one of the most successful, home-grown pop-rock acts of the decade (they know their way around a chorus, that’s for sure). Supporting the lads on Friday from 7.15pm are Gabrielle Aplin and Little Hours, with All Tvvins replacing the latter on Saturday. Two nights, one huge headliner – but hurry, before the tickets are all gone! Tonight and tomorrow. 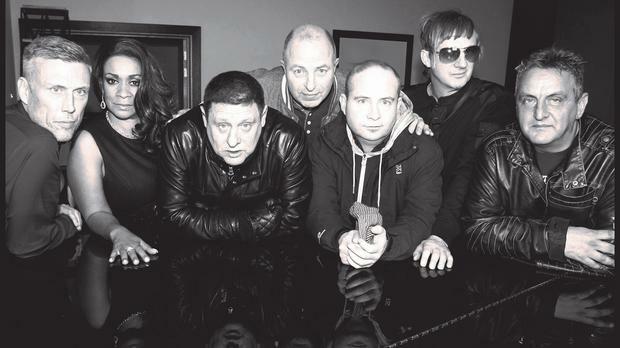 For ticket info, stage times and more, visit www.mcd.ie / www.ticketmaster.ie. Running daily (except Sundays) until January 30. Evening shows: 7.30pm. Tickets €25 - €35 available at www.gatetheatre.ie. studio album, This Chemical Sea, was released earlier this year, and with a stellar collection of tasty electronic rock grooves in his back pocket, we could very well be in for an awesome festive hoo-hah. The superb Booka Brass Band is on support duty, as are acclaimed newcomers, Pleasure Beach… Saturday, 7.30pm. Tickets €18 available at www.ticketmaster.ie. Have you ever heard Jimmy Carr laughing? Seriously, we’d listen to that chap chuckling all day. Luckily, he tells good jokes, too. 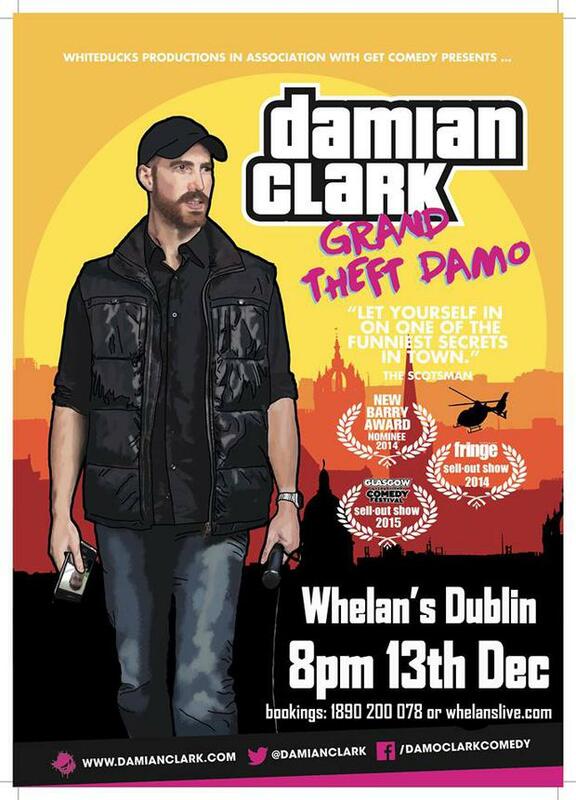 Indeed, the man with the most unrepeatable one-liners in comedy plays four Dublin gigs in two nights. Ambitious? You betcha, but we think he can handle it. Get your skates on – the early shows are sold out, but there are still some tickets left for the late shows. Oh, and don’t you dare heckle him, you hear? He’ll only destroy you… Tonight and tomorrow at 9.45pm. Tickets €36.50 / €38.50 available at www.ticketmaster.ie. Tonight, 7.30pm (Vicar Street) / 11.30pm (The Workman’s Club). Tickets €35 (the gig) and €12 (the party) available at www.ticketmaster.ie. Okay, so this sounds interesting. The name of the show is ‘Grand Theft Damo’ (which we love) and it’s about Australian joke-teller Damian Clark’s quest to find his stolen phone. Well, that’s not even the half of it. In fact, the year-long search began when Damo (a smashing jester, mind) discovered a few, ahem, questionable photos in his iCloud. Prepare to be shocked…and to laugh yourself silly, no doubt. Sunday, 8pm. Tickets €10 available at www.whelanslive.com. A touch of Bernard Shaw magic at Ireland’s National Theatre this Christmas? Don’t mind if we do. What’s ‘You Never Can Tell’ about? Well, basically, a family moves to a seaside hotel and all hell breaks loose. Apparently, there’s a “love-struck dentist” in there, too. Oh, and it’s a comedy - but we won’t spoil any more. Conall Morrison directs, with the excellent Denis Conway and Eleanor Methven leading the cast. Running daily (except Sundays) until February 6. Evening shows: 7.30pm. Tickets €13 – €45 available at www.abbeytheatre.ie. 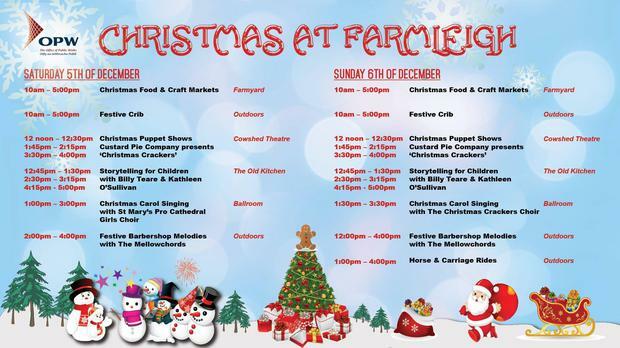 Did you know that they have puppet shows, storytelling sessions, carol singing and horse and carriage rides at Farmleigh this Christmas? You do now. It’s all free, too, and guess what? The Christmas food and craft market is open all weekend. Sweet. Let’s hope they’ve got mince pies and gingerbread men…and maybe a little mulled wine. Saturday and Sunday, 10am - 5pm. For a full programme of events, visit www.farmleigh.ie. Friday (12pm – 7pm), Saturday and Sunday (11am – 6pm). 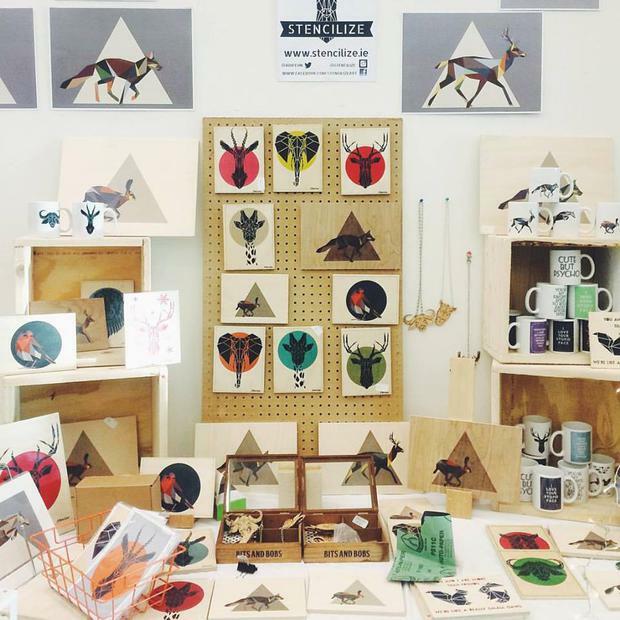 For more, visit www.dublinflea.ie. With so many new plays kicking off this weekend, we couldn’t decide which ones to leave out, so why don’t we bend the rules and recommend a couple of treats over at the Smock Alley Theatre? First up, A Christmas Carol. Ah yes, Charles Dickens’ festive favourite is back on the stage, in a new adaptation by John Gentile. It’s a family show, and there are matinees over the weekend (the play runs until December 22), but according to the website, one of the ghosts is a little on the freaky side (you’ve been warned). Also at Smock Alley, we have Phoebe Waller-Bridge and Bad Mouth Theatre’s Fleabag which, we’re told, is about a “week in the life of some sort of a modern woman” (straight from the press release, that one). Starring Hannah O’Reilly, it’s running until Sunday, and features “explicit content”. And there you have it - two very different shows for your viewing pleasure. Just don’t get them mixed up… For ticket info and more, visit www.smockalley.com.